The super-efficient, clean-burning, EPA certified, PelPro PP130 has the best fuel economy in it's class and is truly a pleasure to operate. With the easy to use dial control and automatic ignition, just set the dial to the temperature you want and the stove will do the rest. With the automatic fire pot purge, heating with wood pellets has never been easier. Enjoy efficient, high-tech heating with this Englander Wood-Burning Stove, expertly crafted from solid steel. It burns logs up to 16-inch L and heats up to 1,200 sq. ft., perfect for smaller homes. The high-tech design ensures safe, clean burns, while the specially designed convection channels allow you to use the room air blower for maximum heat transfer. A non-catalytic, refractory-lined firebox delivers efficient operation and clean burning with superior insulation to keep your stove at peak performance all season long. 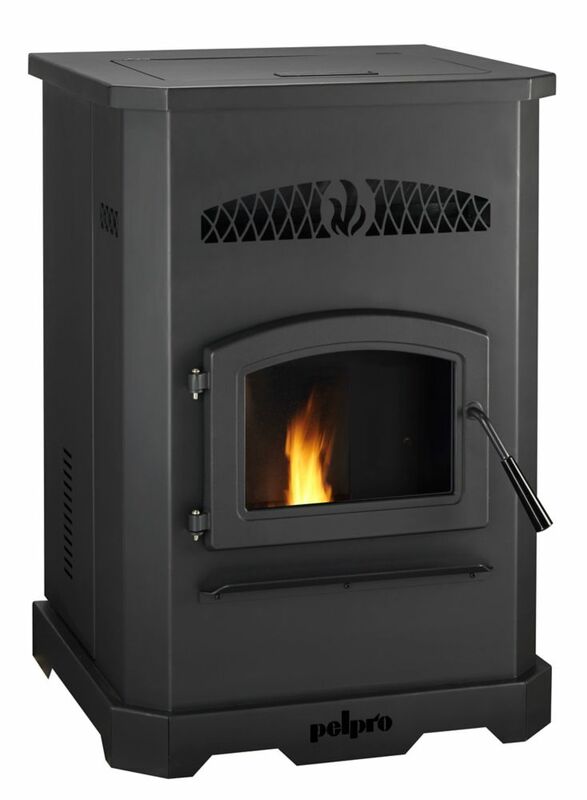 PP130 Cabinet Pellet Stove The super-efficient, clean-burning, EPA certified, PelPro PP130 has the best fuel economy in it's class and is truly a pleasure to operate. With the easy to use dial control and automatic ignition, just set the dial to the temperature you want and the stove will do the rest. With the automatic fire pot purge, heating with wood pellets has never been easier. PP130 Cabinet Pellet Stove is rated 2.8 out of 5 by 6. Rated 1 out of 5 by Maggie from Do not buy Purchased and did not work. Called the manufacturer and were shipped a new control panel. Took two weeks. Apparently the 2017 models were recalled. Received it yesterday, stove worked for half a day and then stopped throwing off different error codes each time restarted. Returned to Home Depot. Home Depot staff were amazing. Not impressed with Pel Pro. Second stove not working and returned in a month. Rated 4 out of 5 by Richard from Great Stove. I bought this stove in December 2017 and it arrived roughly 4 weeks later. I install the stove with little effort and had it WETT inspected the next day. I have ran the stove everyday since I installed it and it works great!! I usually run the stove on low throughout the day due to the fact it heats up the house too much on any other setting. The fact it can hold 130lbs of pellets is fabulous and it can last 5 days ...on low a 40lb bag of pellets lasts 1 1/2 days. I was able to buy large quantities of pellets, 3 pallets (180 bags) I got them for $4.00 a bag at that quantity. The fan is a little noisy when first started but eventually quiets once the stove is primed and temperature setting has been reached. I would highly recommend the stove as using pellets is extremely more economical and you avoid the mess and labour of wood. Local Service maybe challenging due to the fact the local contractor for the area will not service other makes or brands that he does not sell. Rated 5 out of 5 by 358jess from Reliable stove. Have run this unit for 2 years with no problems as a main source of heat. Does require regular cleaning like most pellet stoves. Runs on generator power no issues when there's an outage. Rated 5 out of 5 by Kupru from Best deal I ever made! I've bought PP130 pellet stove about a month ago and I am very happy with it. Fan makes a little noise, but it is necessary to circulate warm air. We use it as a back up system in the basement, or when we just want to sit in the warmth of stove.. I love it.. Rated 1 out of 5 by joe180159 from pellets worst buy ever had my stove for 5 years and out of 5 years I used my stove for two winters only . The stove is very good the problem is you can never get any pellet this hole winter I only was able to buy 30 bags all winter had none for the cooled snap I think I will change back to wood you can get wood anytime. Are the pellets gravity fed? Looking for a back-up heat source for when the power goes out. We designed the PP130 to be quieter than many pellet stoves on the market but you can still hear the pellets dropping into the firepot and when the stove is running on high and pumping out lots of heat, the blower noise is appropriately louder. If you are replacing an older stove, I think that you will be pleasantly surprised at the PP130's heating performance and the amount of noise. I hope this helps! Is this stove manufactured in CANADA? The current version is manufactured in USA. Please check your local building codes but yes, this stove can safely be installed with venting out the back and through a wall. This stove is rated to heat 2200 sq feet and requires refueling every 3.5 days. I am thinking about it for my 576 sq ft shop. Since I would be using it at one quarter of it's capacity could I expect to go far longer between fueling? Yes, depending on how well the space is insulated and how cold it is outside, when the stove heats smaller spaces, it will run longer between fuelings than in a larger space. We still recommend using premium fuel (burns cleaner than lower-cost fuel) and checking in on the stove every few days.